A way to pray and stay engaged in the activities of HopeHouse on a regular basis. Email your day to info@hopehouseinternational.org along with your ﬁrst and last name. 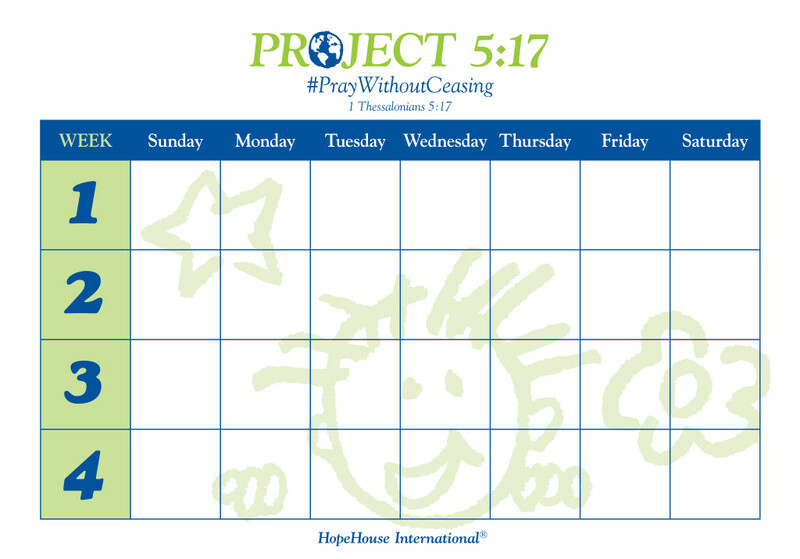 Each month, on your speciﬁc day, you will receive an email from HHI with several prayer requests. Emails are not shared with any one for any purpose. You may opt out at any time. Will you join others in expanding our prayer covering through Project 5:17 as we seek the power of the Holy Spirit to move in ways beyond what we could even ask or imagine!